PT. Ubud Taxi started as a project to help taxi-drivers, who faced poverty, because their income was not enough to support their families, due to the high rent of a car. Many drivers drive a rented car. After paying the rent, not much is left for their families. Having their own car is for most drivers only a dream. The Ubud Taxi project started with Kadek (married and 1 daughter), driver in Ubud for some years. He rented a car from his neighbour. Kadek lost his job, when his neighbour sold the car, because he needed the money. Kadek was reducing to poverty. Thanks to the project Ubud Taxi Kadek could continue his job as a taxi-driver. 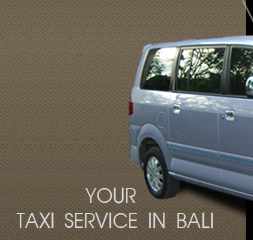 In the meantime Ubud Taxi has become a small, professional taxi-company. In September 2011 it was recognized by the Government in Jakarta, as being a PT. Ubud Taxi has license to transport tourists. Ubud Taxi has multiple skilled drivers; there is no touting. All the cars have Air-Conditioning. The management is working on a voluntarily basis.